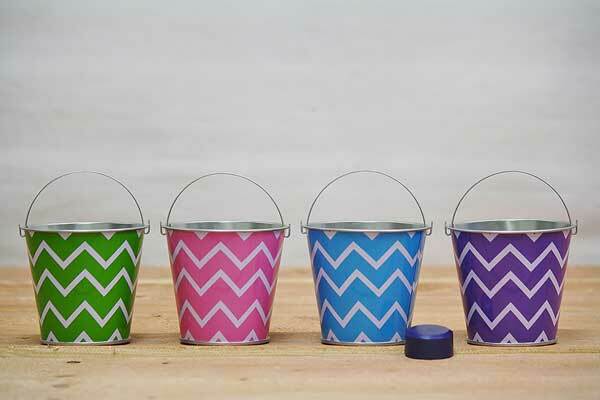 These tiny metal pails are decorate with colored chevron wraps. Use them to decorate a summery party at the beach by filling them with rice or sand, adding tiny pinwheels, and crafting the most creative centerpiece your guests have ever seen! Make a bunch, and your guests can even take them home as favors! We also offer small buckets decorated with tie dye and shooting stars. This 12 pack of mini favor pails comes with 3 of each color.